​​Don't sleep on the Clip Show! 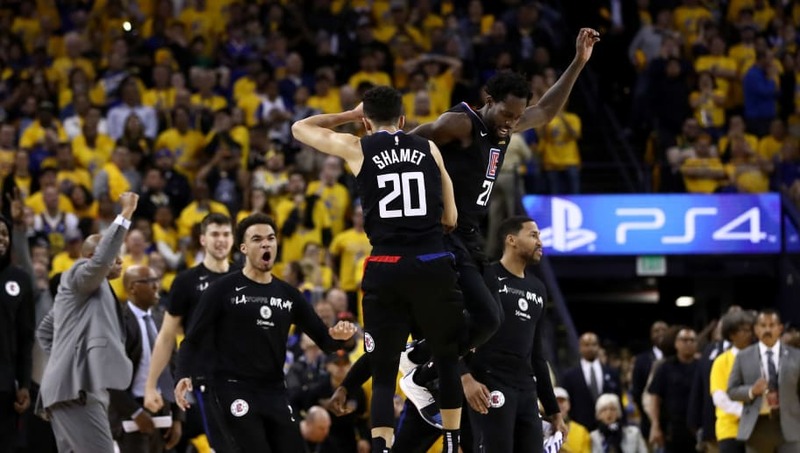 Despite falling down 31 points in the third quarter at Oracle Arena against the back-to-back defending champions, the Los Angeles Clippers completed a comeback for the ages and defeated the Warriors thanks to an absolutely dominant fourth quarter. Lou Williams. Patrick Beverley. Montrezl Harrell. Danilo Galinari. All considered an afterthought by some team at some juncture, have essentially won their Super Bowl. Los Angeles traded arguably their best player--Tobias Harris--at the NBA Trade Deadline to the Philadelphia 76ers. Yet, thanks to timely buckets and great coaching by Doc Rivers, Los Angeles squeaked into the postseason with the eighth seed. Facing all odds and a viewing public which expected a clean sweep, the Clippers have at the very least delivered one thrilling performance we'll never forget. Now, as this series heads back to Los Angeles TIED at one game apiece, the pressure is squarely on Golden State to wake up and provide a bounce-back performance. ​​Not only that, but Golden State could also very well be without ​DeMarcus Cousins long-term, as the franchise is reportedly pessimistic regarding his left quad injury. The postseason is only just beginning, and suddenly the once-insurmountable favorites face some major question marks.